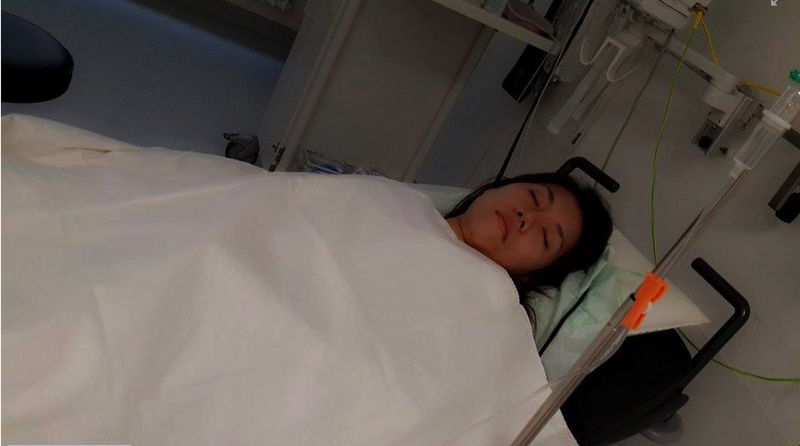 It has emerged that victim of Thai Army torture Kritsuda Khunasen was hospitalised today (4th August) after passing out from a terrible head and neck ache she claims results as a side effect of the mistreatment she received. The original video and brief summary of allegations of torture are below. Thai pro-democracy activist Kritsuda Khunasen has just posted an interview on YouTube in which she alleges that the Thai Army blindfolded & tied her up for 7days. She also alleges she was beaten, stripped naked, received death-threats, had a plastic bag pulled over her head until she passed out and was placed in a body bag. She also alleges she was forced to sign a document that said she wanted to stay longer in Army captivity. It should be said that the Thai Army have a very long history of torturing and murdering people - the Red Drum Massacres of the 1970s when they roasted 3000 villagers to death is particularly abhorrent. Kritsuda - who is connected to the leadership of the Thai pro-democracy Red Shirt movement - was seized by the Thai Army on 27th May, 5days after their coup of 22nd May and then disappeared for several weeks with strong rumours she'd been tortured and even killed. She was released on 24th June and has since fled to an undisclosed location in Europe. Thailand military junta misconduct, violated the basic universal human rights. Thai pro-democracy activist Miss Kritsuda Khunasen or Apple was arrested on May 27th, and released on June 24th, a month later. The first seven days she was strip naked, blindfold, hand-tided, confined in the body bag, beaten, tortured. Every pre-questioning with a punch or slap on her face, intimidated and threatening her life. After several weeks of her disappearance, social media demanded for her disposition, strong rumour of Apple was murdered by the army. She remained inside the body bag until June 15th, then she was forced to sign an acknowledgment that she had never been abused then interviewed by the military televisions. She wants to separate herself from the pro-democracy activity and rather extended the captivity for her own happiness. She was released on June 24th and has since fled to an undisclosed location in Europe. I urge the international community to seriously look into this matter and take legal action against Thailand for such violations.